Smiths have a grand history in the United Kingdom as watchmakers and instrument makers. They have secured a place in history as having been watchmakers for the British military and Smiths watches even accompanied members of the first Mount Everest Expedition. 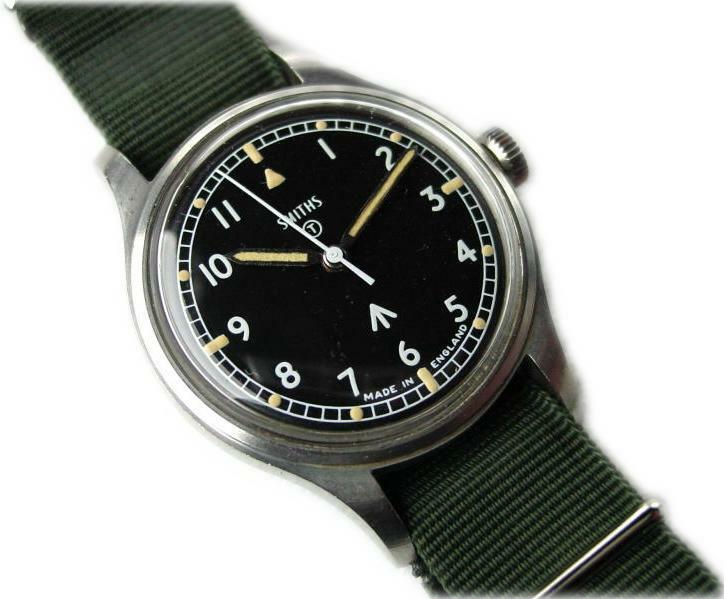 Sadly, the era of Smiths as military issue watches came to an end in the early seventies. 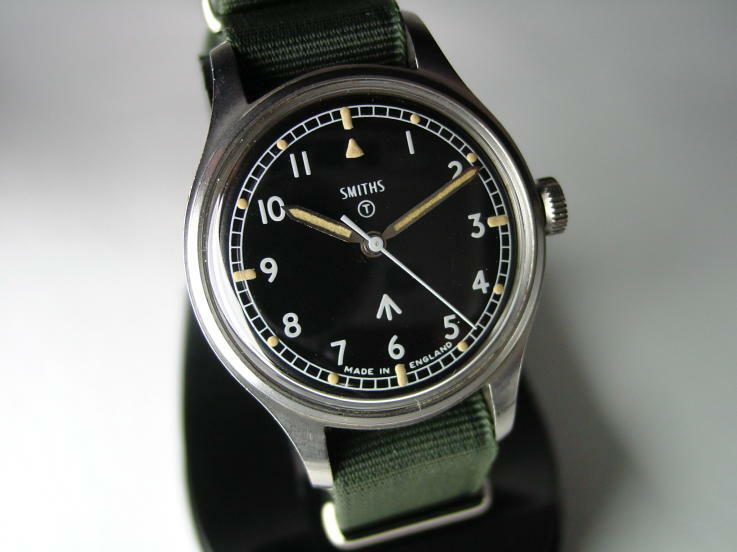 There were apparently a couple of Smiths models that were issued to British Forces during the fifties, sixties, and seventies. 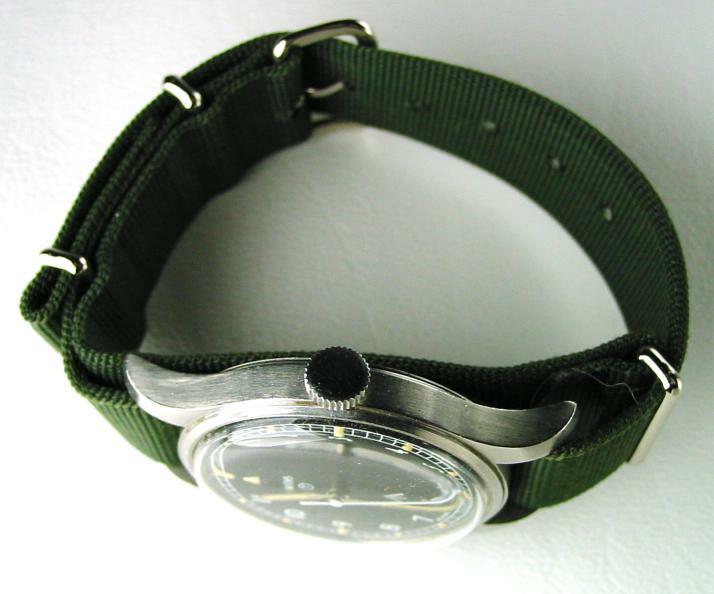 The particular watch featured in this review is the latter watch and was issued during the late sixties and early seventies to British Army Units. The Smiths W10 has the distinction of being the last mechanical watch actually made in the United Kingdom for issuance to the military. 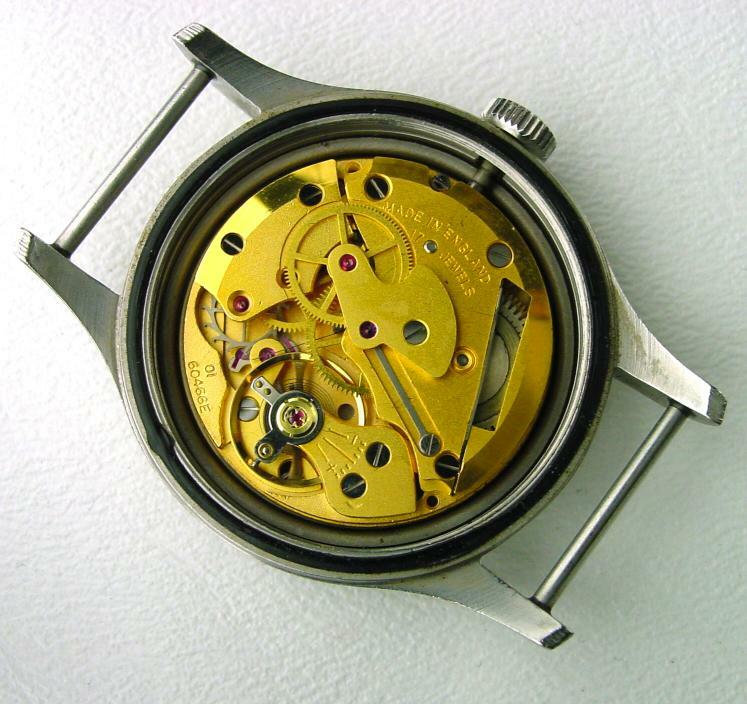 Several experts have indicated that the manual movement was heavily influenced by Jaeger LeCoultre in both design and function. 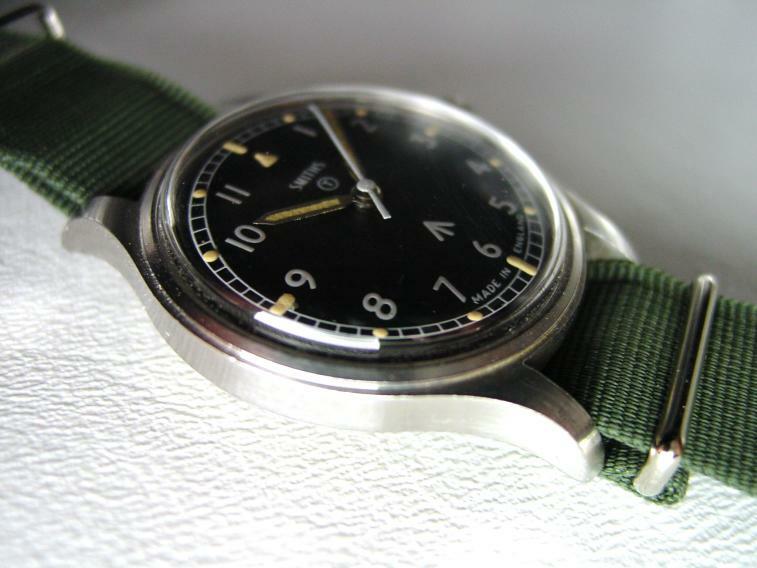 A variant of the W10 was also issued to the Royal Air Force (RAF) as a Navigator's watch. 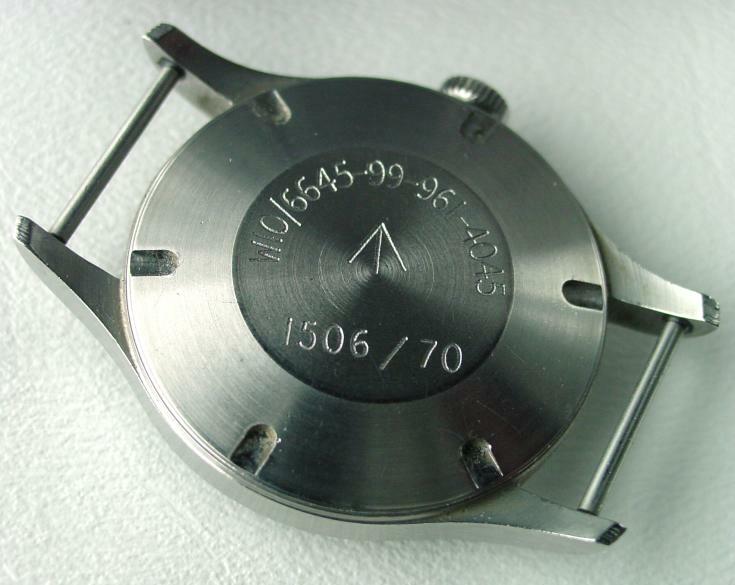 These watches had caseback markings commencing with '6B/." Smiths also issued another RAF Navigator's watch, contemporaneously with the Omega '53, also under the '6B/542'specification. 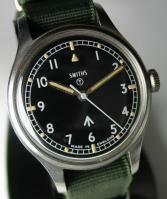 By the early seventies, Smiths watches found themselves facing financial difficulty. When they turned to the British Government for help, they were rebuffed by then Prime Minister Margaret Thatcher. It is rumored that the British Government had just earmarked millions of pounds to help finance John DeLorean with an upstart automobile company to be headquartered in Belfast, Ireland. This left no money in the coffers to help out an aging watch firm. It was reported that Timex bought out the financially troubled Smiths and, subsequently destroyed the tooling and spare parts. For what it's worth, Smiths is apparently still in business as an aircraft instrument manufacturer. Others have reported that various Smiths parts still survive and can be obtained in the UK. These parts were thought to have been rescued from the factory by an ex-employee. I joined up in 1980. However there were still a few around worn by the NCO's and staff at the Regt Depot even then. I understand that some TA units had them for a while, probably into the early 80's. One thing of interest, in the Falklands at the time of the Argie invasion in 1982 the defenders were also drawn from the Falklands Islands Defence Force (smallest Regt in the British Army), not just the Royal Marines. There kit was hopelessly outdated, Lee Enfield rifles, Bren Guns and Smiths watches. The Smiths later found themselves in service during the Gulf War alongside an assortment of venerable WWW's, mechanical G10's and other stuff. 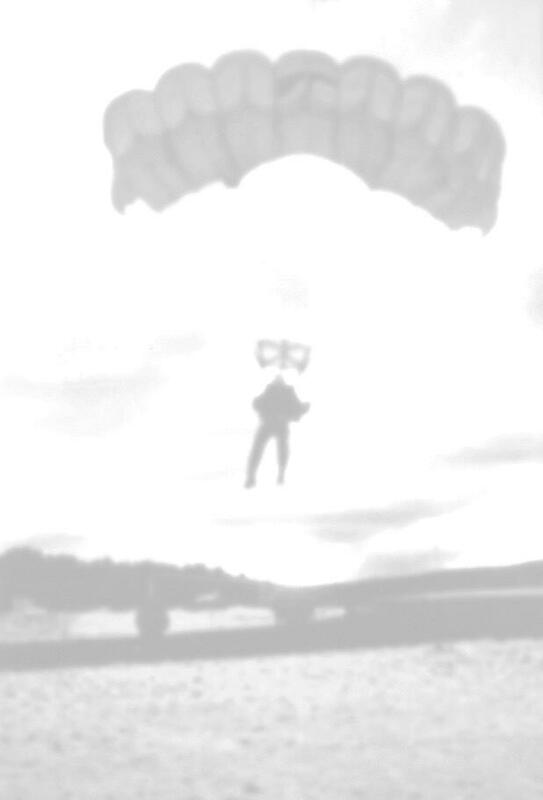 Details: Manual wind. Acrylic crystal. Tritium luminous material. This Smiths W10 courtesy of Eddie Platts in the UK, at Timefactors. * Acknowledgements: Special thanks go out to OCD, Eddie Platts, James Dowling, Dr. Ed Roke, and James Kellard for their technical assistance in preparing this review.